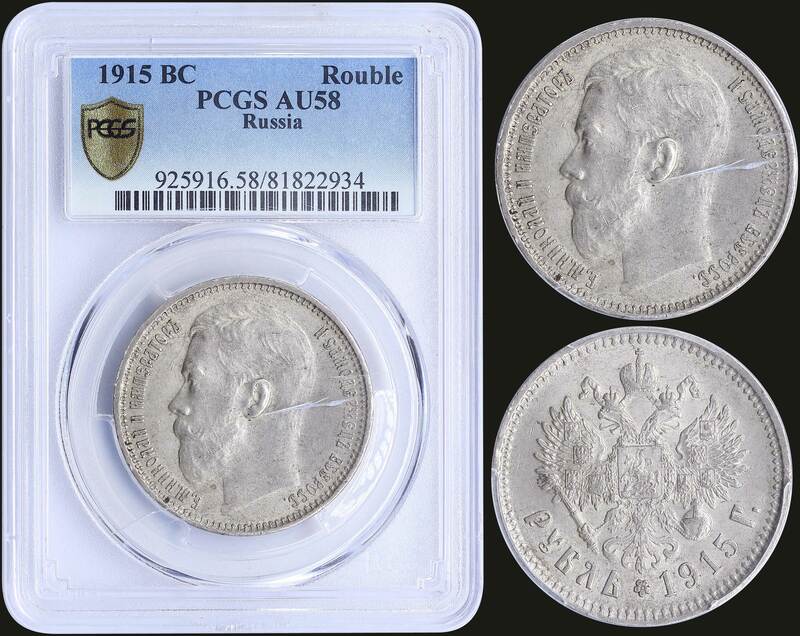 RUSSIA: 1 Rouble (1915 BC) in silver (0,900). Obv: Nicholas II facing left. Rev: Crowned double-headed imprerial eagle, ribbons on crown. Inside slab by PCGS "AU 58". (Y 59.3). Please login to add this lot to your wish list.